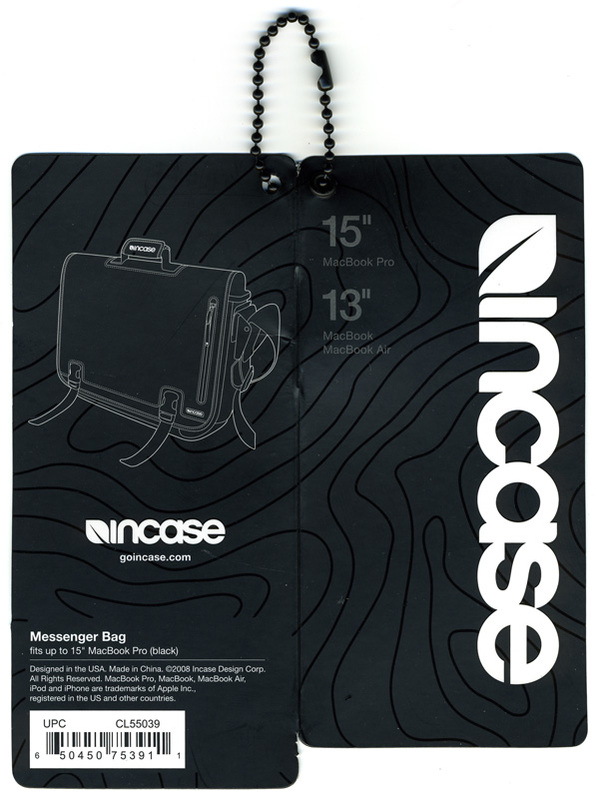 Incase Nylon Messenger Bag may be THE perfect messenger bag, their designers have figured out every tiny detail! 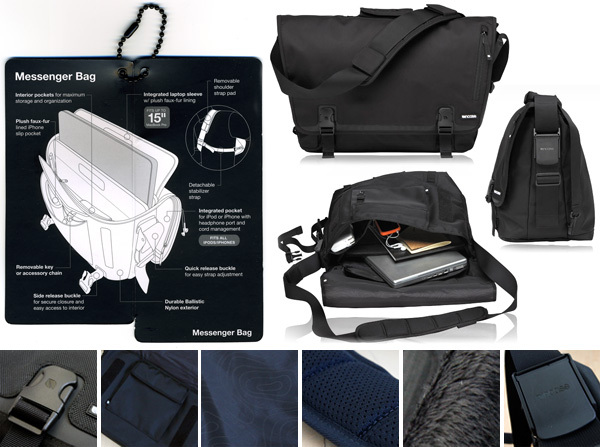 I’ve gone through so many messenger bags (from Chrome, Timbuk2, Ordning & Reda, Tumi, a leather old J.Crew, Jack Spade, and more…) ~ but i’m totally impressed with how sleek, lightweight, and detailed this new Incase Nylon Messenger Bag is. As a 5’4” girl, it actually holds my 15” mcp and a lot of other stuff without making me look like a turtle (which is the case with my huge chrome one!) ~ the shoulder strap is sooo nicely cushioned, and brilliant detail to have the padded handle on the bag double as a key ring (good spare key stash?) 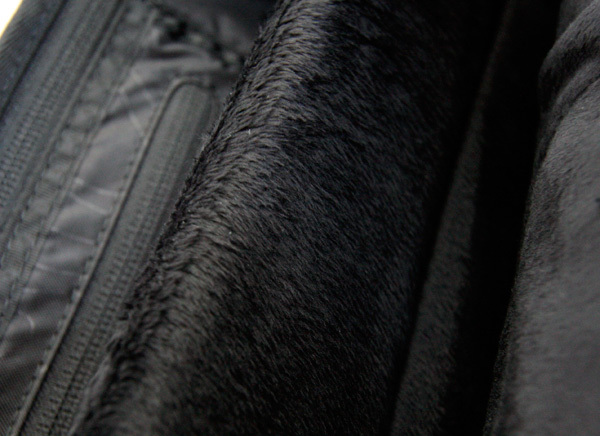 ~ lots of pockets of varying depths and openings all around ~ and the biggest mystery to me when i first read about this… “plush faux fur” ~ turns out its a velvety soft lush black material to keep your iphone and laptop from being scratched! 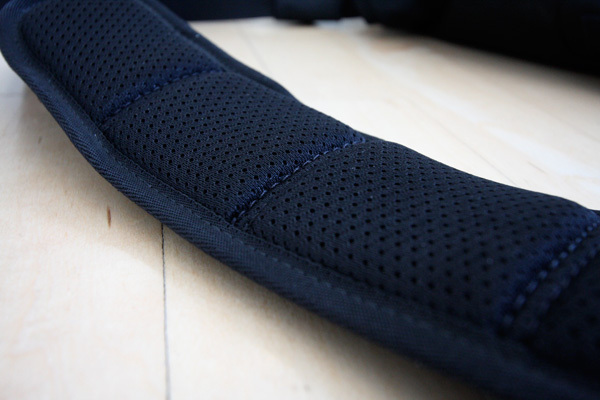 Nice that the stabilizer strap is completely detachable as well, and its a nice touch to have the large velcro pocket on the front, and that the clips on the main flap are sewn flat (not sure why that matters, but just a detail i really liked - aesthetically sleeker?). Anyhow, enough rambling from me, i took a bunch of pictures of the details for you to get a feel for it yourself on the next page! 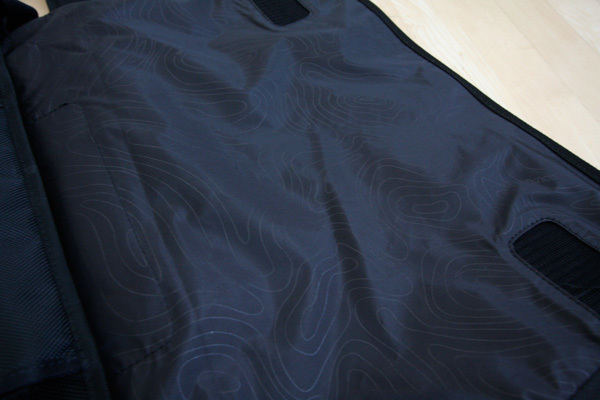 It’s lined with their signature topographic pattern of course! “plush faux fur” ~ not nearly as creepy or frightening as it first sounded! SO padded! Your back will thank you! sorry the lighting got a bit weird while i was shooting these quickly ~ sunset happens so fast now! Just wanted to make sure i got this up to share before i headed up to SF tomorrow! This looks like a great bag! Exactly what I’ve been looking for in terms of style and functionality. Great review as well! 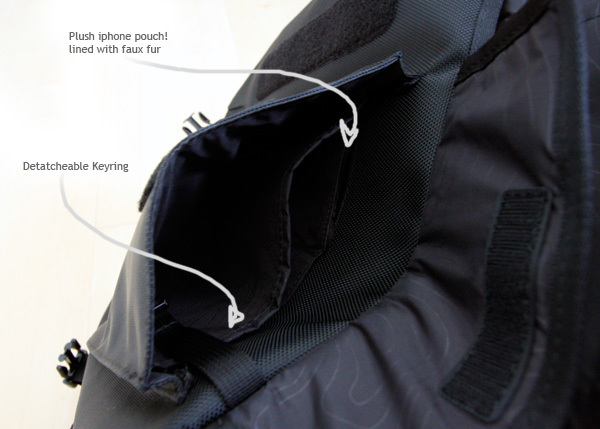 This review is what sold me on the bag :P I just ordered it online from the apple online store. Funny thing though for you potential buyers… on the canadian apple website, this bag is going for 69.95, but on the US apple website, the exact same bag is going for 99.95 and even on the incase website it’s going for 99.95… so if you live in Canada, definitely go to apple’s website to order this bag. why the heck don’t they make it for 17” macbook pro models/???? This looks exactly what I have been in search of!!! I have a lil 15inch mac book pro an often times like to carry my canon 40d with a 50 mm lens this looks like it can easily carry both if I have to. this is the perfect office to home to coffee shop bag!! BBP even made an orange liner so you can actually see what’s inside your bag, instead of camouflaging it even more with contour map outlines. however does anybody know when it will be ??? Nnnnnice. 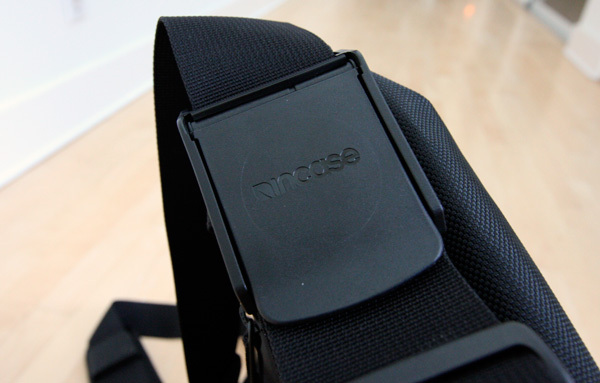 I use the Incase sling pack for my MBP, and it’s fantastic. So understated, and I love the fact that my babies are so pampered by the fur. Often wanted to crawl in there myself. A friend commented that it was clearly a bag for people who “mean business”; so, it seems, is this one. And while I don’t, I hope to trick people into thinking I do, so I may have to pick this one up as well. 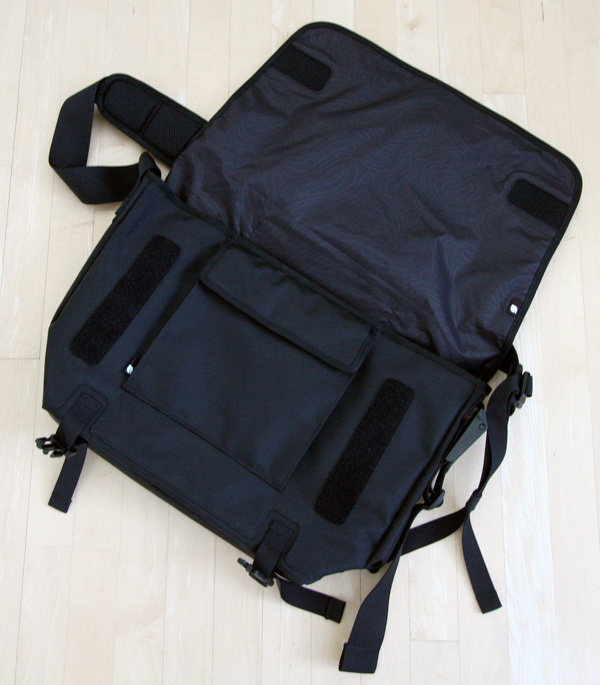 Just bought this bag for the new macbook pro unibody. Its wonderful! 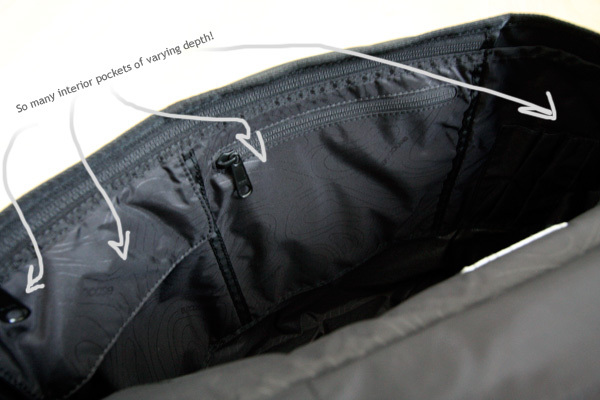 The pockets are all useful and well thought out. I cant recommend it enough. The shoulder strap is the most comfortable Ive had in a while. The only draw back ive encountered so far is the way that the stabilizer strap fits, its a little off. Hahaha! Those bumbakpaks are hideous. 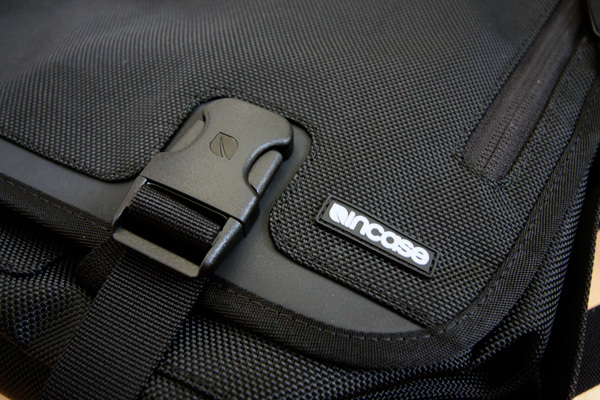 incase makes some really useful, strong, _and_ aesthetically pleasing bags. How much junk can this puppy hold? Can you snap some pics of it full? its unfortunate those of us with 17” Mac get no love. 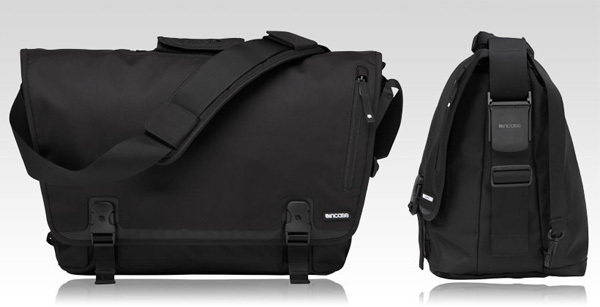 A nice looking bag, but still can’t compete with the bbp (bumbakpak) line of bags… (bbpbags.com) IMHO… sometime you just really want to use both shoulders to carry your heavy mess. bag. I’ve gone through about 1,000 diff bags as well (like many of you) and can’t stop singing praises about the Hampton from bbpbags. Trust me, if you try one, you’ll never need to buy another bag. I have a pathological need to acquire messenger bags. 21 at one point. I even ventured into the Ortlieb line of waterproof shoulder bags. This one looks tremendous. 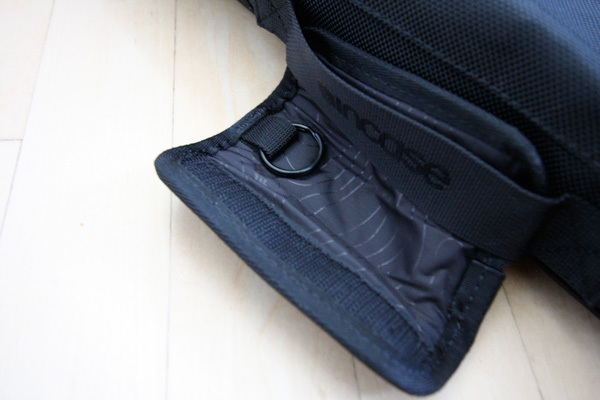 The trendiness of Timbuk2 deters me from owning one. 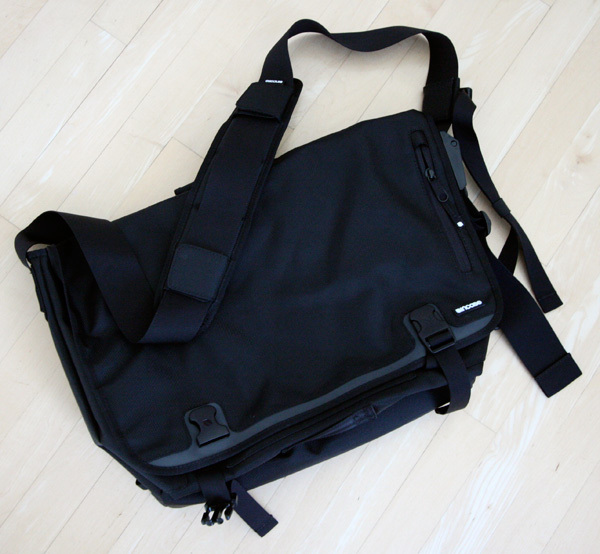 I currently carry a black nylon TUMI that turned up on the floor of a local thrift shop. I admire the incase bag’s honest lines. Thanks for the review. Oh a bag with only Mac specs. Yeah no thanks, I will opt for the bag made by the company not run by total douchebags. This bag looks so cool. 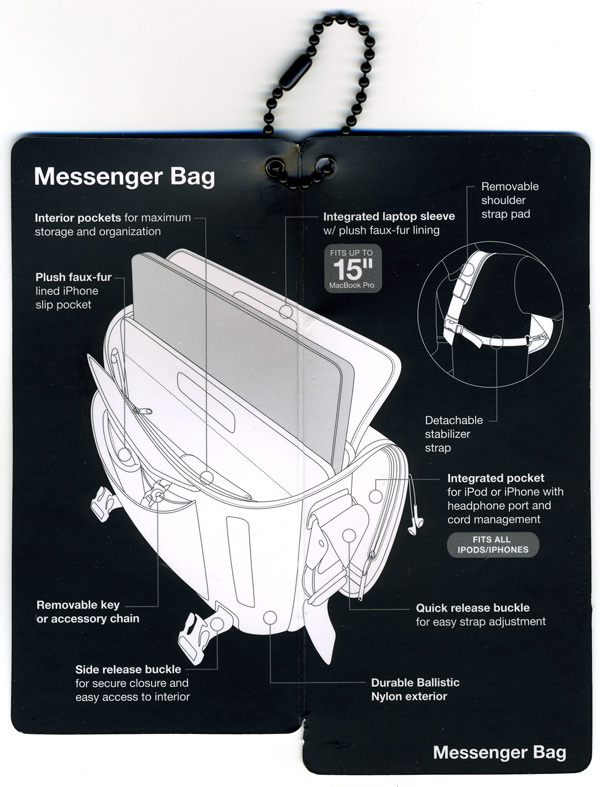 I love the line drawing infographics, so sleek like the bag.